Bidwell was chosen by the Green Bay Packers in the fourth round of the 1999 NFL draft but was forced to sit out his rookie season due to a bout with testicular cancer. He fortunately recovered and came back to win the punting job in 2000. While he struggled in his first year, he improved thereafter and spent four years with Green Bay, averaging 41.1 yards on 308 punts. 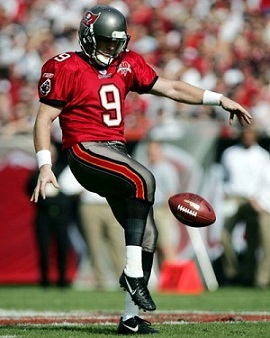 Bidwell moved on to the Buccaneers as a free agent in 2004 and punted 82 times for a 42.3-yard average. Bidwell spent another three seasons with the Buccaneers. While having a strong leg, he sometimes struggled with consistency and directional kicking, but he was adept at getting distance when needed and landing the ball inside the 20. Released in 2010 after missing all of the ’09 season due to a hip injury, he was active for four games with Washington but spent most of the year back on injured reserve in what was his last season. For his career, Bidwell punted 742 times for a 42.7 average, with 419 punts for a 44.0 average coming with Tampa Bay.